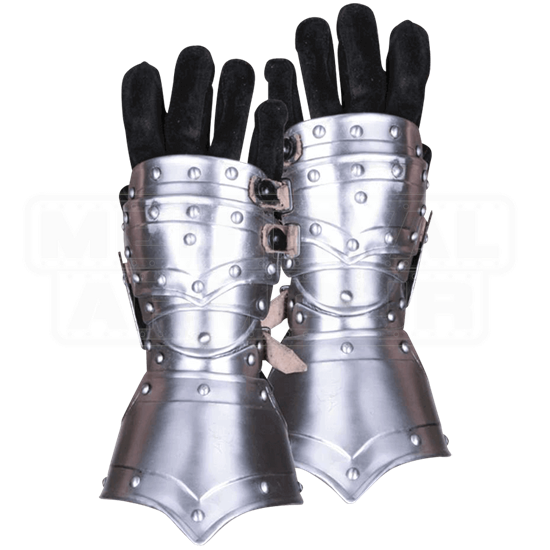 Extending up to the forearm, the Balthasar Gauntlets offer essential protection when it comes to LARP or other historical reenactments. 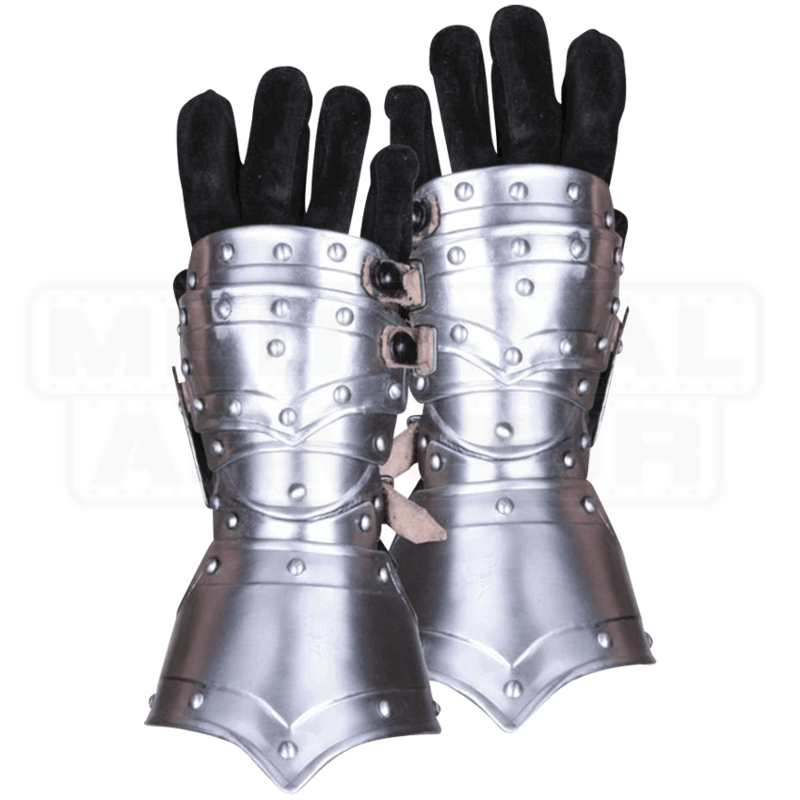 Made of polished steel, these expertly crafted gauntlets are made of eight separate pieces. The classic design of the gauntlets features rivets and beading that perfectly match our other pieces of Balthasar armour, making them the ideal gauntlets to complete the set. They are secured to the hand with three buckled straps.